Hey everybody, Truffles at the keyboard! There's a possibility I'm going to need you all to back me up here today because I might be in a little bit of trouble. But since we all know you visit our blog for me I know that you've got my back. What did I do? Well, I hopped on the 'puter while Mommy was sleeping and deleted the post she had scheduled for today. (It had nothing to do with me, so it was fair game.) It's for a good cause though, honest! Today is Mommy's birthday and I want to do something extra special for her. It's probably pretty obvious how much Mommy loves kitties, right? Nothing would make her happier than having a house full of cats...okay, she would probably settle for 3 or 4. Unfortunately, between working, blogging, taking care of her elderly parents, and me, adding to our little family just isn't in the cards right now. 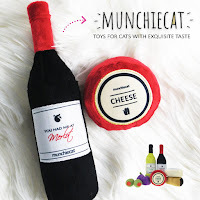 Ever since our special Sparkle blogged about sponsoring shelter cats for July's Blog the Change for Animals post, Mommy has been pretty obsessed with the idea. It's wonderful to make a blanket donation to a shelter, but by sponsoring a kitty you know exactly which fur babies your money is helping. 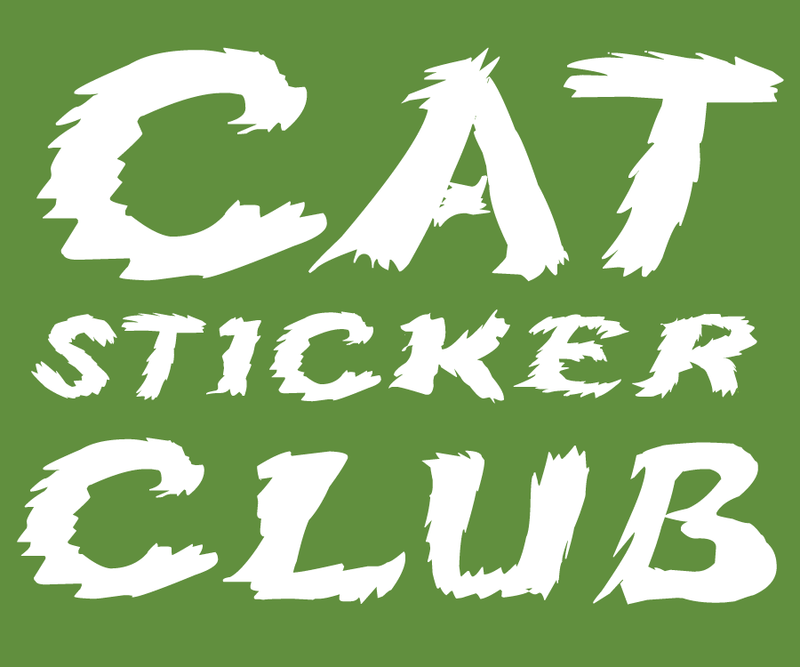 It's the perfect way to have more cats in your life when you can't add any more to your home, at least until they find their forever families. Mommy and I have been fortunate to make a little extra money thanks to our blog. We've been setting it aside as a little "nest egg" in case I ever need something special. (i.e. future vet bills) But as a gift for Mommy's birthday I want to use some of it for something else. For the next 24 hours I am having a comment-a-thon: for every comment we receive today I am donating $1 to PAWS of Connecticut. I'm hoping to be able to sponsor two or three kitties, and during the coming weeks we'll introduce you to our new friends! 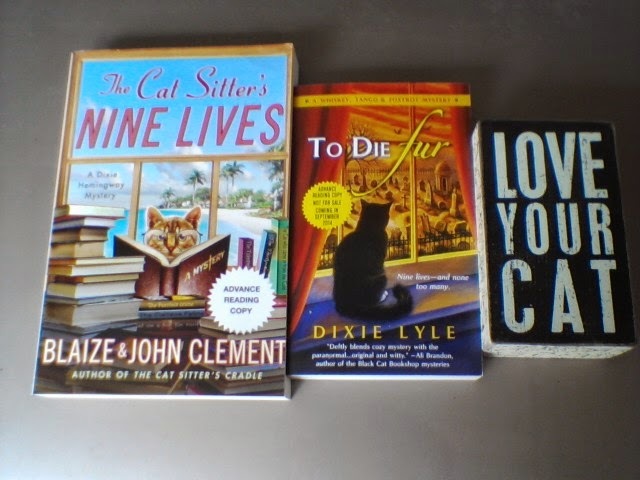 To sweeten the pot a little I'm offering a giveaway too: 2 fun kitty cozies (The Cat Sitter's Nine Lives by Blaize & John Clement and To Die Fur by Dixie Lyle), and a box sign with a very wise saying: Love Your Cat. Comment-A-Thon & Giveaway close tonight at 11:59 EST. (September 8, 2014) Winner will be chosen by Random.org; open internationally. Oh I am glad to help spend your Mom's money on a good cause! Happy Birthday! Happy Birthday to your mommy!! Happy birthday to your human, Truffles! I hope your commenthon is a huge success - sponsoring kitties is so rewarding. And thank you so much for your donation to Tabby's Place in Sparkle's memory. may all of your dreams come true, including the ability to sponsor a few kittens! Happy Meowday to yous mommy Truffles, dat's so pawsum!!!! Truffles, maybe you did good deleting the post! Not about You?? Shame!!!! A very happy birthday to your Mommy. We hope her birthday wish comes true. Truffles must be a very specail cat to want to do this for your birthday. Happy Birthday! I hope you and Truffles have a great time. Happy Birthday to your Mommy! What a wonderful idea! 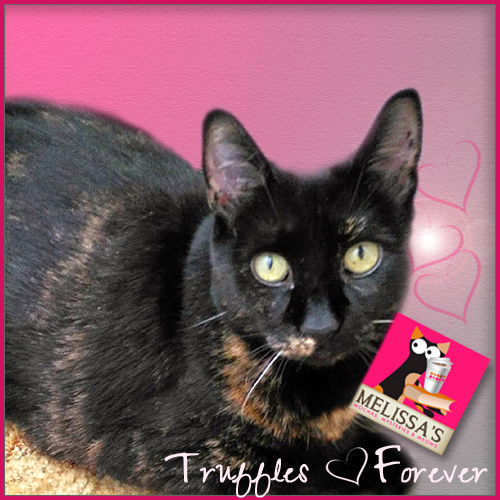 Oh Truffles, what a sweet kitty you are to do that for your mom and have a contest too! Happy Birthday to your mom! What a great idea, Truffles! 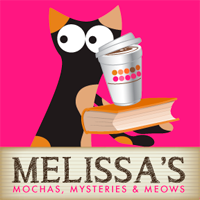 We hope you get enough from the commentathon to sponsor several kitties at PAWS! And very happy birthday to your Mom! 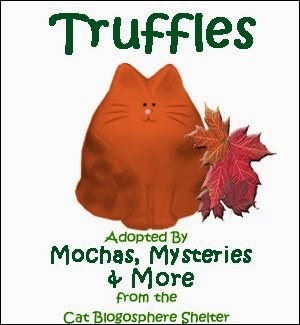 Truffles, we think you did a wonderful thing; sponsoring individual kitties is a wonderful idea! We can't wait to see the new friends you get to sponsor. To Mommy...Happy birthday, to you...HAPPY year-ahead, too! 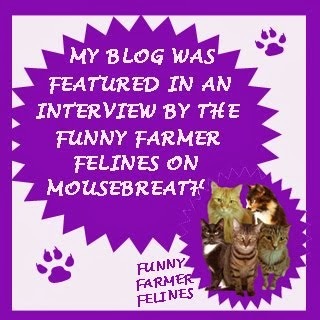 Here's my "Comment for the Kitties"!!! Happy, HAPPY Birthday to your mom! It's a great week for birthday celebrations, don't you think Truffles?!? And there's lots of fund raising for great causes too! Thank you for your comment this morning! Truffles you are such a thoughtful girl! We hope you give your Mom lots of hugs from all of us and we wish her happy birthday! YAY for those kitties in CT!! Happy Birthday. May your day be blessed with love and joy. What a awesome way to celebrate your mom's birthday! Happy Birthday to her!! What a sweet thing for you to do, Truffles. I don't see how you could be in trouble for this!! Happy birthday to your mom. Happy Birthday to the mom!! What a wonderful gift and we can't wait to see who gets sponsored! Happy Birthday to you! Truffles, you always have such great ideas. We have five Treeing Walker Coonhounds and three cats, so I know we can't bring any more furbabies into our home - at least not now. They are all rescues, and one of our cats, my daughter's "kitten" name Arata, just celebrated his first birthday yesterday. I have helped sponsor many dogs and cats, and have helped rescue several that I was only able to rescue because OF the sponsorships for them. This is a wonderful thing you're doing and I hope the kitties you sponsor find as loving of homes as you have! A meowvelous idea! Happy Birthday to you mom. Happy Birthday Melissa! Truffles you have a wonderful idea. Hope she loves it. Oh, good, we love spending money that isn't ours. :) Great cause. Happy Birthday! Happy Birthday to your Mom! You don’t have to enter me for the books. We love the sponsoring idea. Pop used to sponsor—wait for it—cows at the Popcorn Park Zoo. He even got to visit them and feed them. Happy Belated Birthday to mom. Sorry we're late seeing this, but can't always get on the computer here. Hope you had a wonderful one with lots of purrs from Truffles. Hi, I just saw this on Facebook and am so sorry I missed the commentathon - especially because I volunteer at PAWS! Thank you so much for sharing your birthday celebration with the cats at the shelter. I hope your birthday was very happy. Happy Birtday to your Mommie! So sorry we missed the Comment-a-thon :( Phooey! Hope you guys had a great day yesterday!!!!!! 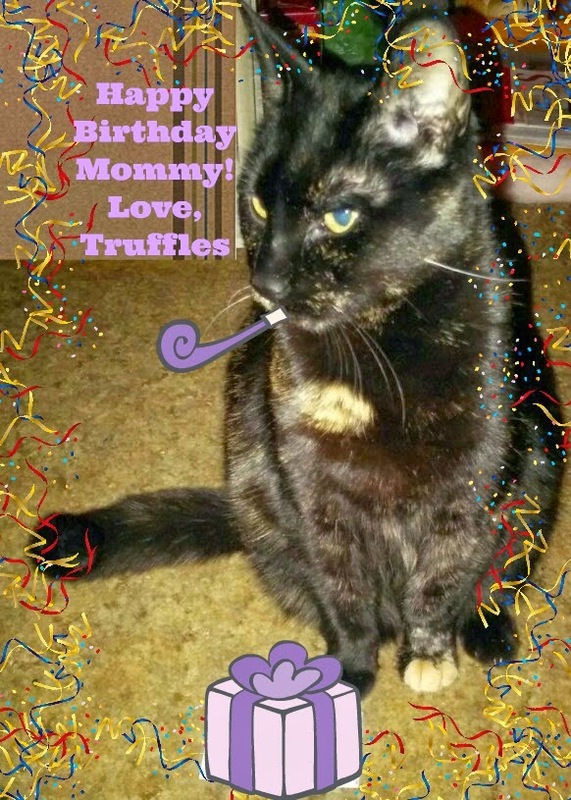 Happy Birthday to your Mommy, Truffles!!! We are late to the commentathon we know, but we still wanted to stop by and wish your Mommy a HAPPY BIRTHDAY!! That is a very thoughtful thing to do for your mom, Truffles. The kitties at PAWS will be most grateful. We can't wait to see which ones you've sponsored. Hope your mom had a wonderful birthday celebration!! !